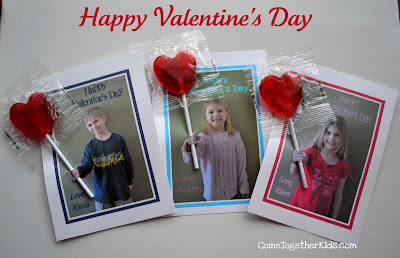 So, here we are, wishing you a Happy Valentine's Day from Come Together Kids. And, if by chance, you haven't seen these cards before, they were really quite easy to make. I just took a picture of each child with their arm outstretched and then added the words and a frame on Picnik. Using an exacto knife, I made two small cuts on the top and bottom of each fist and inserted the lollipop stick. That's it! Simple, but really cute! Oh, and if you still need a couple more last-minute Valentine's ideas, you can print out and frame these "You made my heart happy" messages or make your own DIY Scratch offs. 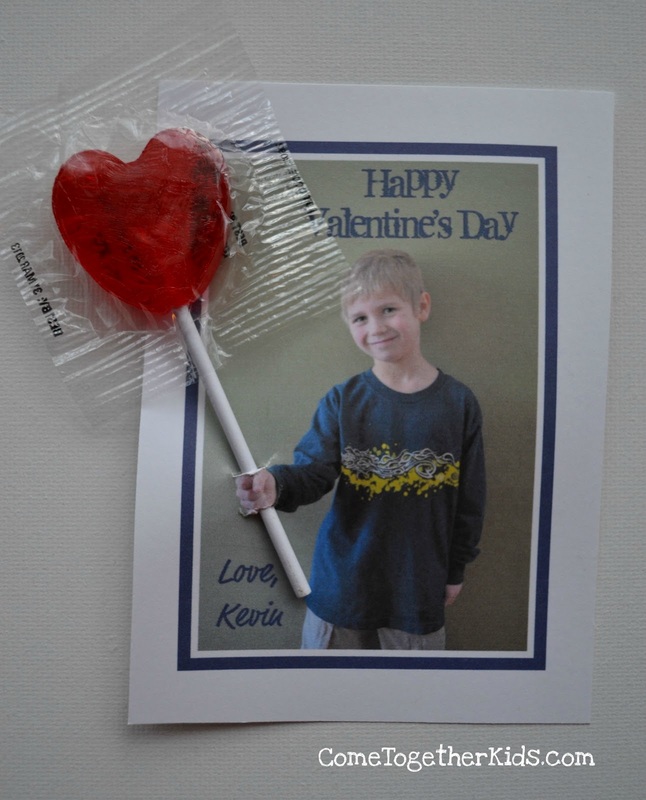 wow, those turned out so wicked cute - what cooperative little Valentines you have to pose so well!! 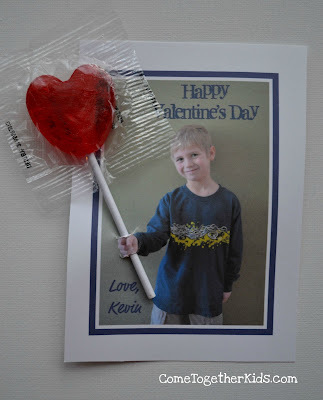 We, too, did lollipop Valentines which I'll post today! These are so cute! What wonderful pictures! Thank you for sharing such a helpful information with us. it really necessary and timely for me at this time. I hope these content are very useful to know more about this topic. I wanted to share this information with my friends. Yeah, i totally agree with you, Tom. Great post, keep it up. I definitely will share with this. It kinda reminds me of this article here best writing services review Great job!